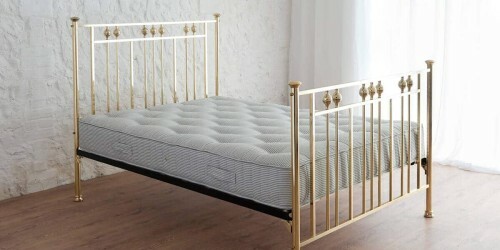 Single, Double & King Size Mattresses | Wrought Iron & Brass Bed Co.
Our range of everyday open coil and pocket sprung mattresses bring quality and affordability together. 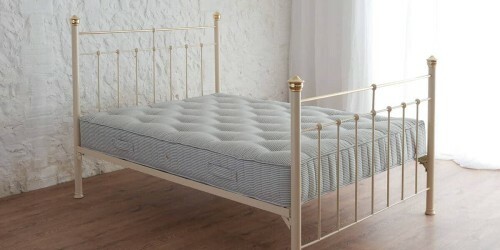 Containing luxurious natural fibres of Cotton, Lambs Wool, Bamboo and Cashmere, our range of everyday mattresses, will give a touch of luxury and comfort every day. 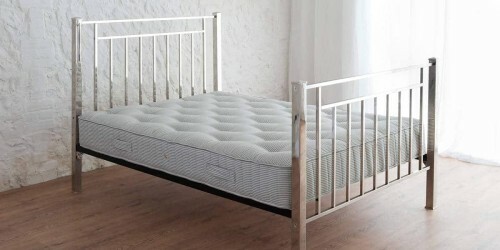 Chosen for their luxurious natural fibre fillings and affordability, our range of everyday pocket sprung mattresses are available in a choice of cream or a traditional Butchers Stripe ticking. 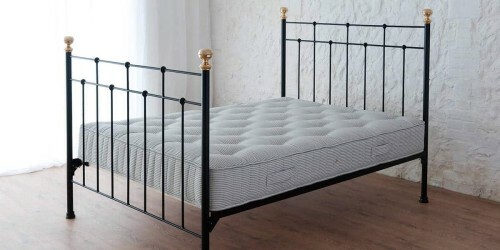 To discuss our range of mattresses from the pocket sprung to open coil mattresses and how they feel, please call our showroom 01485 542516, where we shall be able to talk you through how lovely they really are.